The inner world of the horse includes all the mental dimension, as opposed to a reductionist idea of this animal, as well as others species. The horse has always been considered a simple organism that responds to linear dynamics, such as stimulus-response or input (stimulation)-output (behaviour). For example, in all phases of traditional but also “natural” training, the approach has a deterministic, mechanistic, linear, anthropocentric conception. The cognitive approach does not give space to a reductionist image of the horse, but rather puts him on a level of complexity. These animals with a sophisticated system of mental processing, have the ability to create their own input, their own intention, based on experience that they live. In fact, when talking about cognitive training of the horse, we do not talk about a mere stimulation, but focus on building experiences together. 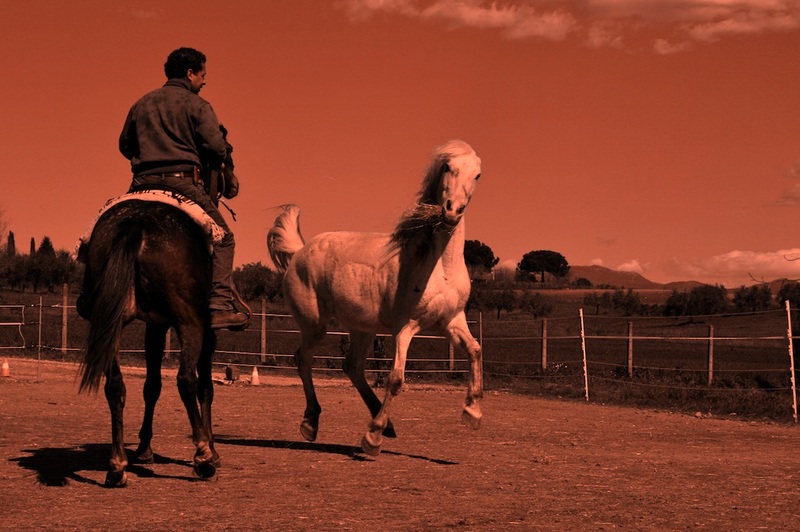 If we look at the process of horse training, even the most gentle, positive or “natural”, we can immediately understand how the trainer is used to work in a linear and one-way process of stimulation, with no or very few elements of dialogism and cognitive process. In this case the horse is the object of a series of stimuli, in order to obtain a desired behaviour which is often expressed in more or less invasive pressure. In this way the animal is not given the opportunity to significantly creates his personal input and to elaborate his surroundings creating his own perception. This way he does not create its mental/cognitive map, based on own experience, its own species and individual characteristics. 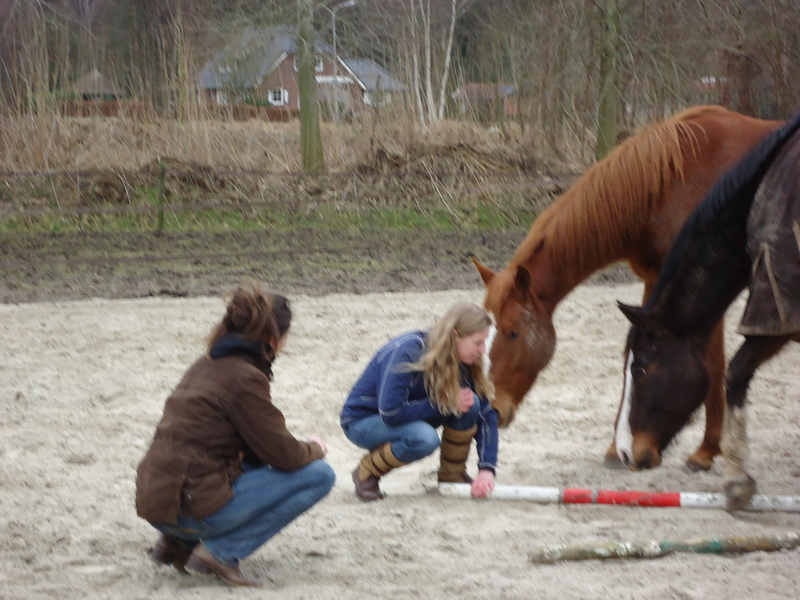 The cognitive-relationship co-training of the horse and also of the trainer, is based on non-linear, non-schematic and not predetermined processes. In this kind of training, there is no focus on a particular behaviour or result, but on the way the horse elaborates the experience. In fact main characteristic of cognitive learning is the presence of a latency time. You cannot always see what the horse is learning. Learning means to give new fields of expression of subjectivity, both as experiential capacity, both as interpretative ability, both as operational capability, both as self-perception. The balanced and sound self-expression of the horse can only be developed in training and interactions where we favour an open and non-linear enviroment, in which the horse builds experience through free exploration both with other horses as with human. Only this way we can ensure growth and alignment of the inner world of a horse, developing welfare, wellness and a profound relationship between man and horse. The greatest form of respect towards the horses is to highlight their natural cognitive skills. 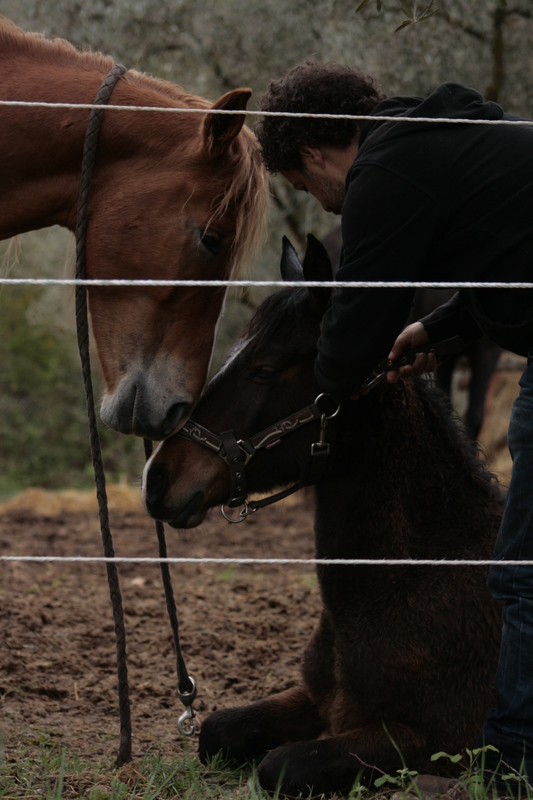 The results we can achieve in terms of cognitive development of the horse can be enthusiastic if a person is able to create a dialogue with both the emotional and mental dimension of the horse. In the first image we see Francesco De Giorgio riding a problematic horse named Cimango, confronted with the powerful ritualization of a horse named Wild Rain. Wild Rain has full freedom of expression, which is the first and most important pillar of Equine Anthrozoology. Cimango relies on Francesco’s calmness, smiling in a critical moment. In this way Cimango handles his emotions and starts to trigger cognitive processes. In the second image Wild Rain, after having had the opportunity to express herself, freely calms down and goes into a quiet mode ready for the relationship with Cimango, which in turn activated the cognitive processes becoming open for the relationship with Wild Rain.